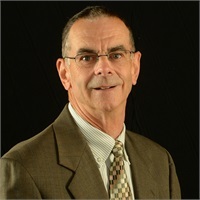 Thomas E. Elyea, MBA | Summit Consultants, Inc.
Tom joined the firm in 2003 as an investment representative. He works with individuals, small businesses, and charitable organizations. His areas of expertise include comprehensive financial planning, investment management, retirement planning, asset allocation, insurance analysis, and estate planning. Before joining the practice, Tom spent four years with Robert W. Baird & Co. Incorporated. He has over fifteen years of financial planning and investment management experience and over thirty years of commercial banking experience. Tom earned both his BA and MBA at Indiana University. He currently holds his securities registrations with LPL Financial. He volunteers at Matthew 25 Health and Dental Clinic where he was a past chairman of the board. He is a former trustee of the Fort Wayne Museum of Art and past president of the Metropolitan Board of Directors of the YMCA of Greater Allen County. He also enjoys running, reading, and golf in his leisure time. Tom and his wife, Sandra, have two adult children. They have been residents of Allen County for over twenty years.